Finland holiday cottage. Set in Kittilä in the Lapland region, Totovaara has a garden. 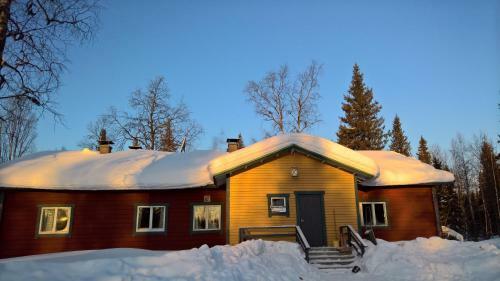 The property features mountain views and is 20 km from Levi. With direct access to a patio, this villa comes with 4 separate bedrooms. Guests can make use of the sauna. A ski equipment rental service is available at the villa. Äkäslompolo is 19 km from Totovaara. The nearest airport is Kittilä Airport, 13 km from the property.